After this Japanese owner's Phantom engine broke down, he decided to replace it with a much stronger engine - A Toyota 2JZ power unit. Owned by Yajima-san, he also has a few other yummy cars like a R35 GT-R and a Volkwagen Passat R36. He admits that he is addicted to powerful cars and the engine in the Phantom now is pushing around 700bhp, up from the original engine's 453bhp 6.75-litre V12. No figures on how fast the car is now but you can hear the videographer's exclamation when Yajima-san gives it the gas. 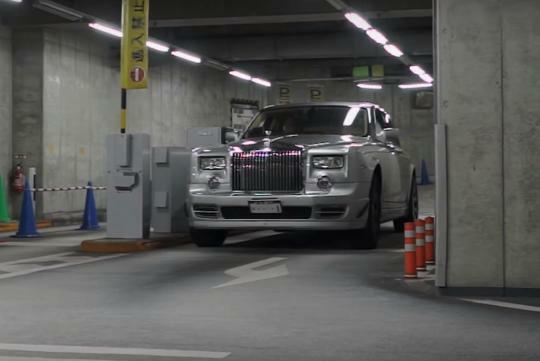 Meanwhile, we aren't sure hearing all the turbo spooling and exhaust noise is cool or uncool in a Rolls-Royce. Watch the video and let us know how you feel about the engine transplant.